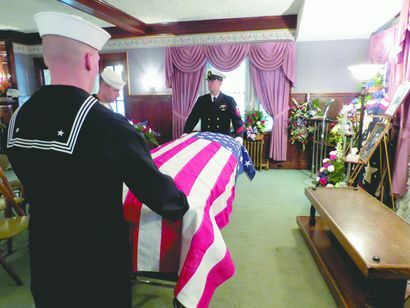 Yesterday I helped to say farewell to a sailor I never knew. Dalton grew up thirty minutes from our farm. He loved to fish, camp, and he especially loved his family. His hugs were legendary. In his small West Virginia Town everyone knew him for his smile and that he was just an all around great kid. He had a goal-Dalton wanted to join the Navy, and as soon as he finished high school he began his basic training and was on his path to his dream of a career in the Navy. 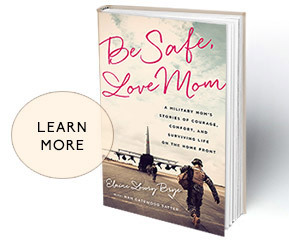 When you become a military mom, you know that things can happen. You begin to prepare mentally for the big D as we call it-Deployment-when danger increases. A sailor is not immune from harm. You only need to watch a few bad carrier landings videos to see that things can go terrible wrong on a ship, and that is just the start of the possibilities. A mom’s mind can conjure up a lot more terrible things and trust me we do. But there are times when we rest, when are kids are safely in the US and all is well. Or at least we think they are OK. So you can imagine the shock when Dalton’s family got the call. Dalton had been running the PRT-the physical evaluation test. He collapsed and never woke up. How could this be? This strong, handsome, young man filled with possibilities, hopes and dreams was gone. So we grieve. The collective Navy family grieves-because we are a family. And that is why I was there. Although I had never met Dalton or his family I needed to be there to show them that there were thousands of moms like me, sharing their pain and loss. We are bound together by our sons’ and daughters’ commitment to serve. In pride and in sorrow, no matter what the outcome, we are here for each other. Every celebration is joyful. And every heartbreak, every loss, is one of our own. Please keep Dalton’s loved ones in your thoughts and prayers in the coming weeks and months as they learn to live without him.